With darkness falling on almost every aspect of our news’ lives these days, it’s not irreverant to experience some joyful moments to reset the imbalance. 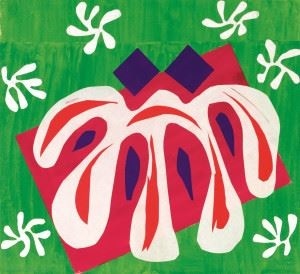 Matisse: The Cut-Outs at MOMA is a glorious and uplifting demonstration of the power of color and genius. In trying to satisfy the problem of line and color which had haunted Matisse his whole life, he devised the cut-outs with painted paper and scissors. The technique provides a whole new view of shape and form, moving from small compositions to room sized pieces like The Swimming Pool. This piece which hung in his house in France has been meticulously transported to MOMA’s walls and is an ethereal demonstration of the great man’s imaginative skills. The war was raging when he created much of this work and there is a dark underpinning to the bright colors, like in the piece with the elephant performing clown-like, who dreams of his real home in the jungle. Light and dark, travelling side by side. The show was a sell out at the TATE in London and will lift spirits here until February 8, 2015. Congratulations to Jodi Hauptman, Senior Curator and Karl Buchber, Senior Conservator for this very special show. I never saw Claudia Shearer’s one woman Blown Sideways through Life but feel lucky to have caught Brad Zimmerman’s excursion into his career in My Son The Waiter: A Jewish Tragedy. This very funny man has endured nagging parents; nagging customers at the restaurant work that supported him, and own nagging consciousness that he might never be good enough to hang up his waiter’s vest. Well, Mr. Zimmerman, you are! 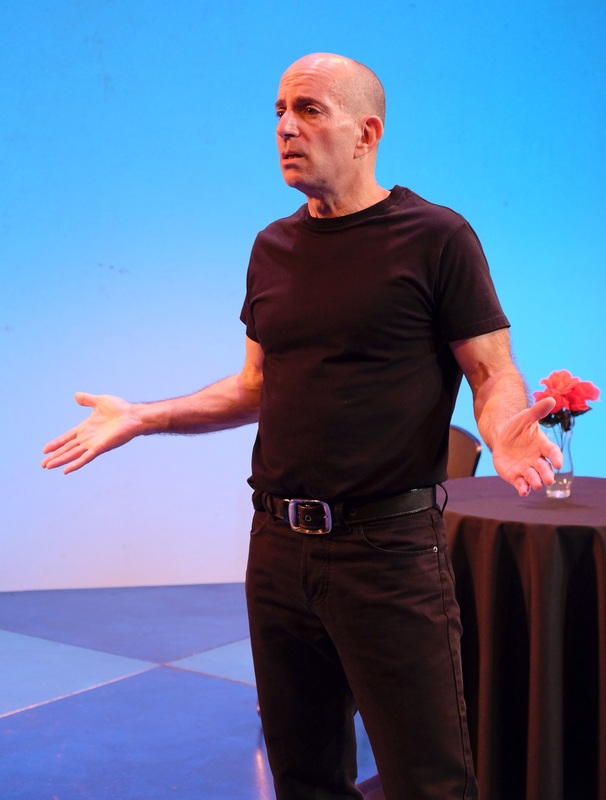 In the intimate setting of the Triad theatre, Brad lets us into the glories of his childhood, fabulous compared to most of his adult life’s struggles, with jokes and stories that are fresh, and very real. For anyone who’s ever worked menial jobs to support their real dream, Mr. Zimmerman is your voice. Also, if you’ve been a customer wondering why the hell your server knows nothing about wine, you’ll love this, too. Having only recently been freed from a job at Chat and Chew, Brad wears his slave scars with a mixture of mirth and resignation. After all, he’s performing for a live audience now, but tomorrow, who knows? Back serving fries. Years of real training can only explain his terrific Scottish accent and his honed his comedic craft. He’s so good, that even George Carlin was impressed. . I could recall some of his jokes, but I hate to be a spoiler. Let’s just say if you find eating habits, parental guilt, dating, baldness, airline pilots, kabbalah, furniture sales and dreams, potentially funny, you’ll laugh your tookas off at this show. Written and directed by Zimmerman, produced by Dana Matthow and Philip Roger Roy’s Playhouse Productions, Inc., “My Son the Waiter” takes up residence at Stage 72 – Triad Theatre, 158 West 72nd Street, for a limited 12-week run through Wednesday December 31.